During the summer, I was running around all summer with a pair of undergraduate student helpers to field sites. At the field sites, I collected plant data and samples, elevation data, and soil samples. 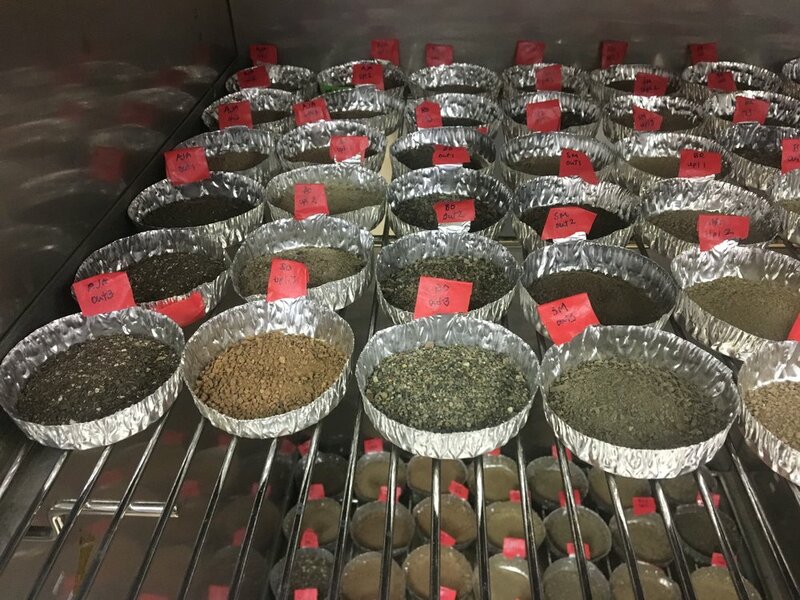 The soil samples don’t tell me much unless I analyze them in the lab for various properties. 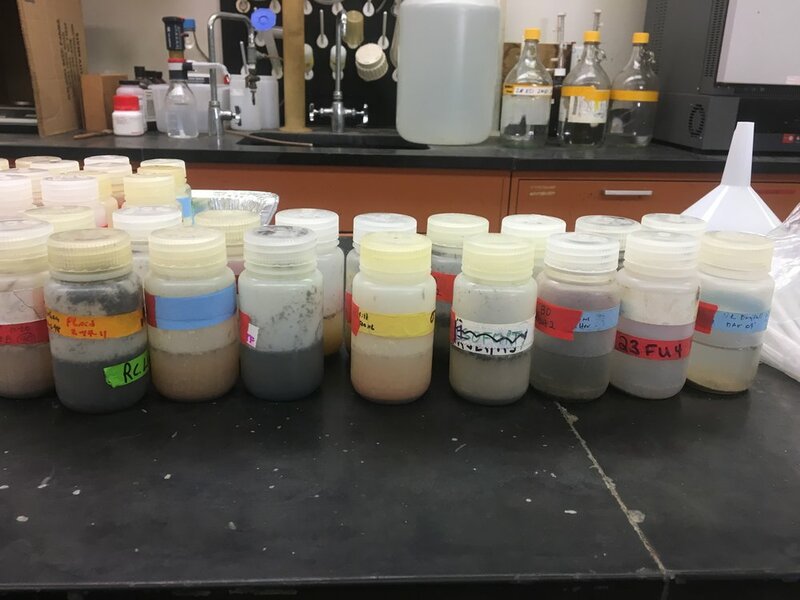 The properties that I am measuring are 1) water content, 2) soil particle size, 3) percent organic matter, 4) nutrient content (nitrogen and phosphorus). Doing the lab work takes at least as long as the field work! Here is a sequence showing the steps just to prepare to do the nutrient analysis! Step 1) Dry sample at 110 degrees C to remove all water from sample to determine water content of the samples. Step 2) Combine 50 ml of deionized water (deionized = purified) and 5 grams of soil and shake for 30 minutes. Step 3) Filter the shaken mixture through fine filter paper. 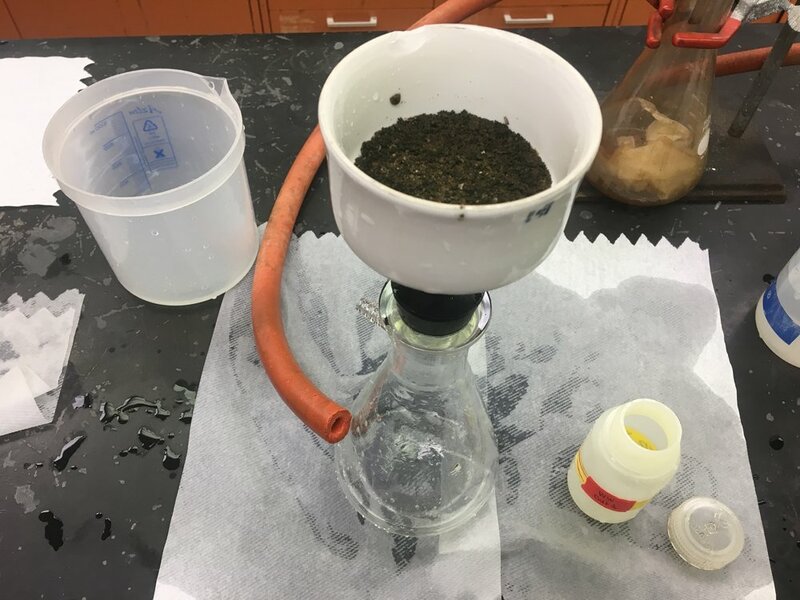 The filter paper is so fine that the liquid will not pass on its own and must be sucked through using a vacuum pump. 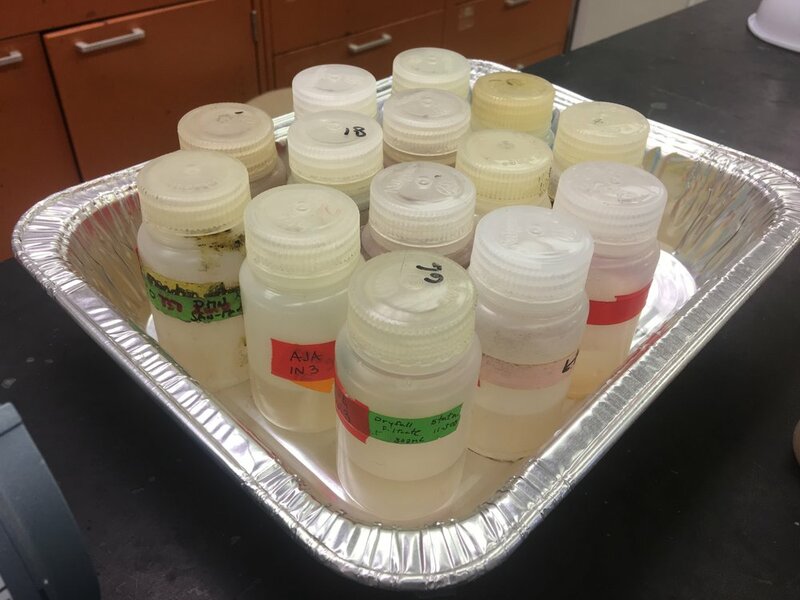 Step 4) Discard soil left behind in the filter and save filtrate in labeled bottles for analysis.